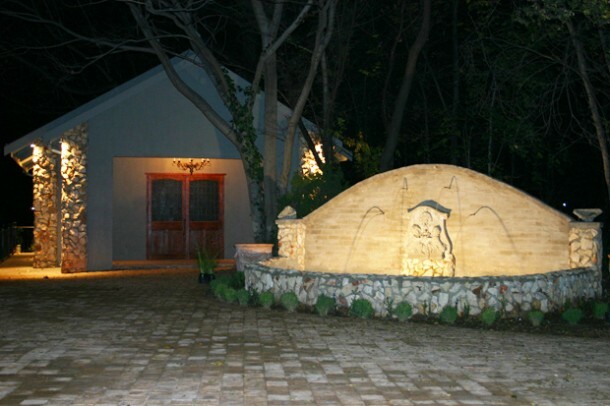 Laying next to the river bank, embraced by majestic trees and a warm, intimate ambience, Ducks Country House and Venue in Henley-on-Klip, Gauteng, is surrounded by trees with large doors opening onto the garden, The Dining Room is an ideal venue for intimate celebrations and wedding receptions. The Tree-top Chapel situated in the heart of our garden, is ideal for intimate wedding ceremonies and dedications. A special room with a romantic view of the garden and river will be beautified adding a romantic touch especially for the bride and bridegroom. Receive a special gift on arrival and enjoy an intimate breakfast for two the following morning. 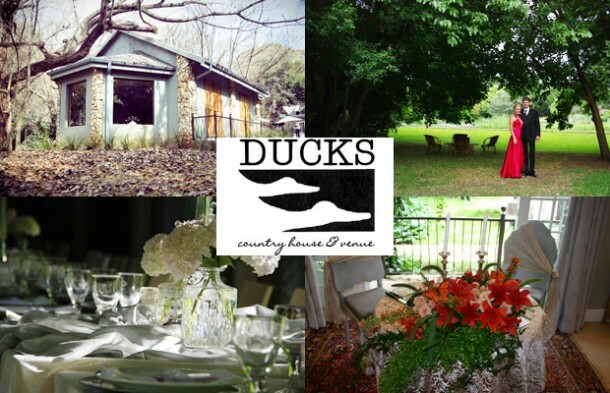 If you are interested in hosting your wedding at Ducks Country House, contact Melanie Coetzee on telephone +27 (0)82 900-4192 or on her mobile: +27 (0)82 900-4192 or see Ducks Country House to send an enquiry or for more information.